fun and educational experience, and can influence how children will learn, build, and grow. 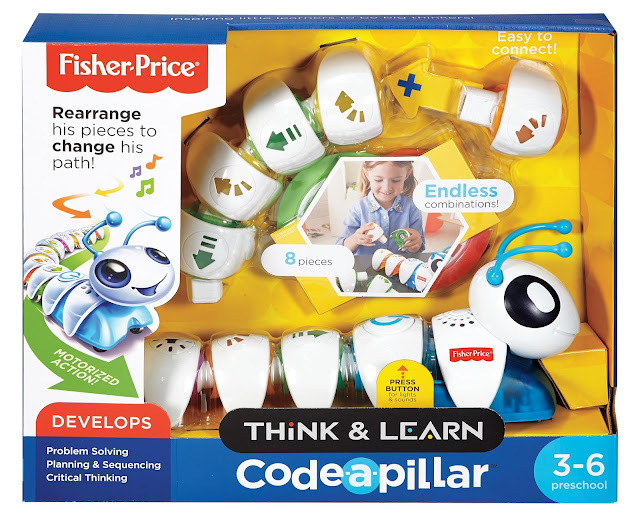 Encourage your child to explore sequences and reasoning with this Think and Learn Code-a-pillar. Arrange the segments in one order, and the Code-a-pillar follows instructions to go one way. Arrange them in another, and a completely different sequence begins. 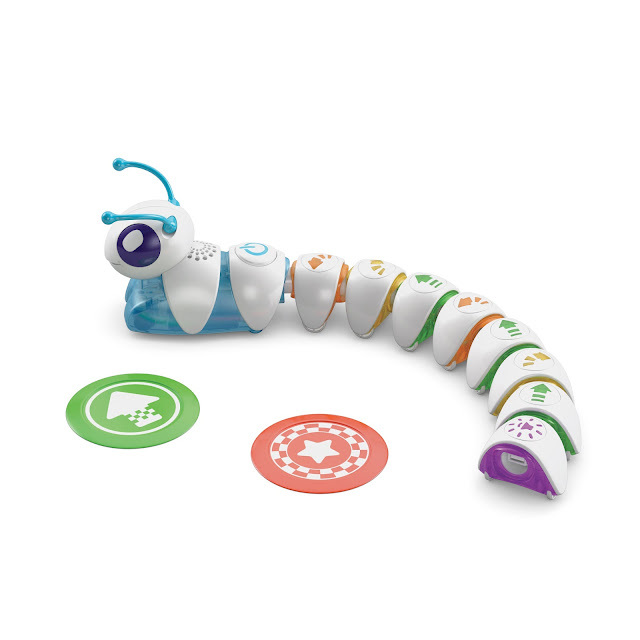 The easy-to-connect segments make finding out the different combinations of this Think and Learn Code-a-pillar safe, easy and fun. Including skills like sequencing, critical thinking, reasoning, discovery, memory, problem solving and experimentation. Kids can configure the segments to reach targets they set up throughout the room. 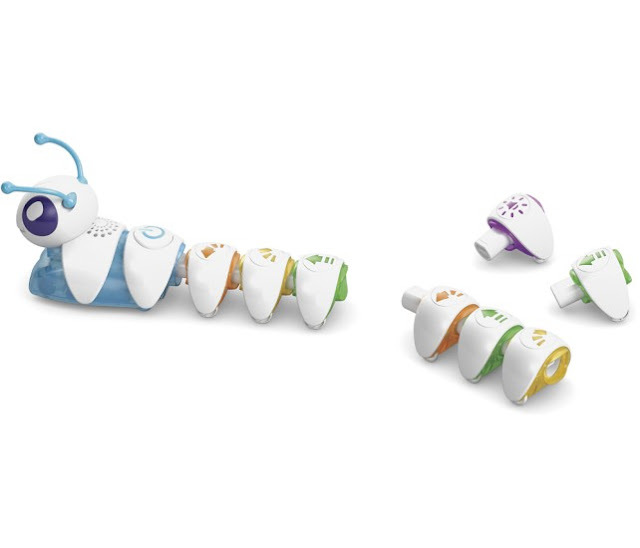 Toy includes 1 sound segment, 3 straights, 2 right turns and 2 left turns. 2 destination targets and 1 motorized head. 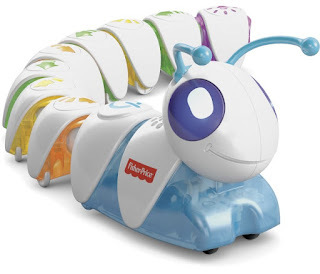 Fun character sounds and blinking eyes to bring toy to life. Each segment lights up as the action happens. 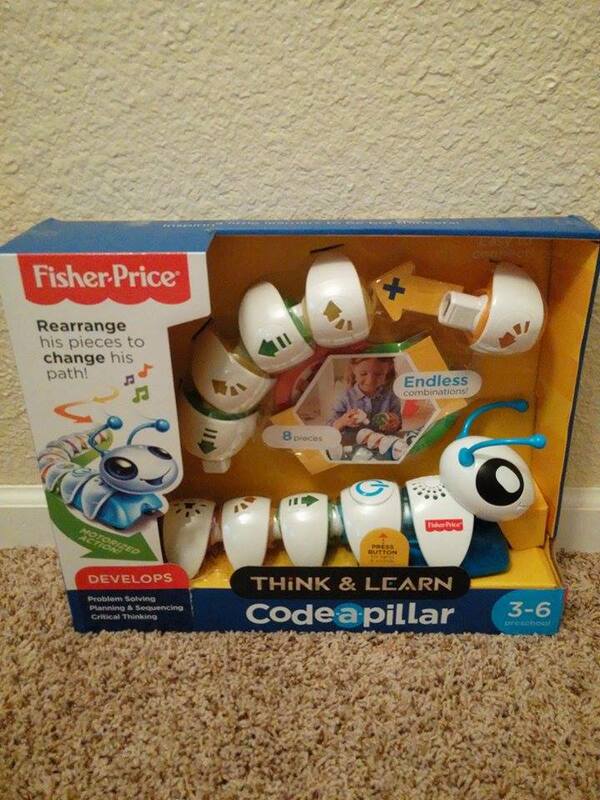 Having a 4 year old starting preschool this fall, I was excited to get her this Think & Learn code-a-pillar from Fisher-Price at Best Buy. I love that this type of problem solving, planning and sequencing and critical thinking is targeted for preschool age children. I think it is so important for early development. I love the idea of the targets, it is one my favorite parts of what the code-a-pillar does. It really gets critical thinking started. 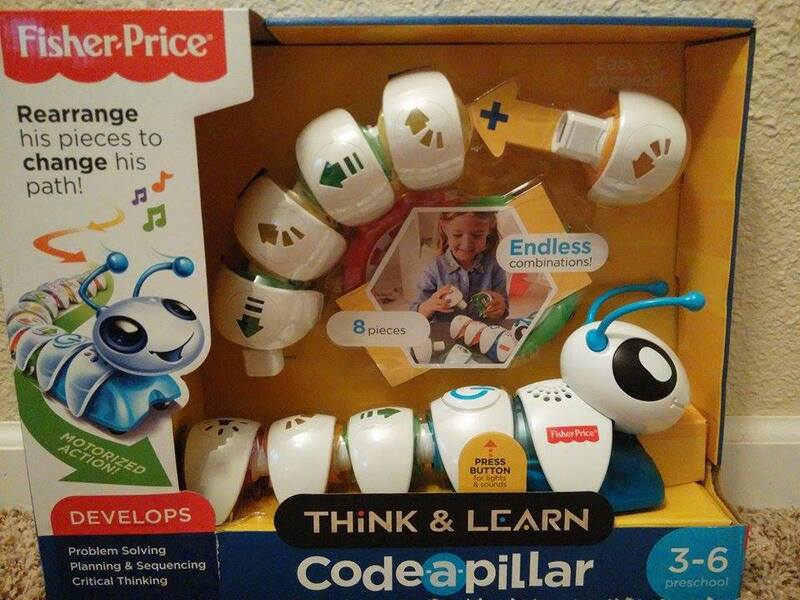 We use this technology to teach programming and problem solving skills early. 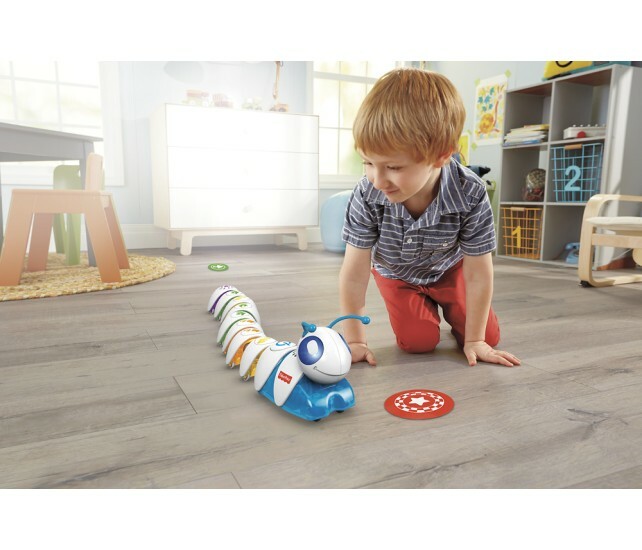 I would recommend the code-a-pillar for preschoolers because not only is it super fun but it engages Creativity, Discovery, Problem solving,Thinking and pride in the accomplishments made while playing with the code-a-pillar. I like that this is a teaching tool that little ones will have fun with and as a parent we can work together with our preschooler to start them off learning skills early. I like that it does not end there, because we can download the code-a-pillar app on the App Store or Google Play for even more fun.